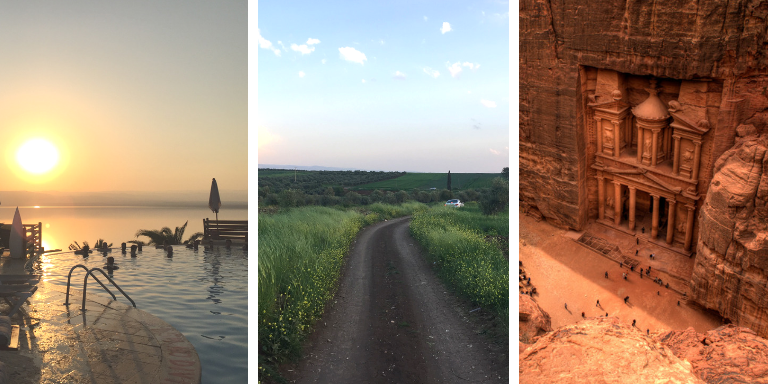 We invite you to join the Authors Guild Foundation on a once-in-a-lifetime, all-inclusive trip to Jordan. Founded after World War I, Jordan has grown into a modern nation that has enjoyed prosperity and peace in recent decades. It is home to diverse peoples and landscapes, and has been witness to thousands of years of history. The tour will introduce you to the people of Jordan and its many important historical, cultural, and archeological sites. You will have the opportunity to meet locals and dine in private homes. And, of course, you will experience the literary life of the country through its writers, journalists, publishers, and booksellers. Participation in this exclusive tour is limited. Most activities will be for the entire group, but there will also be opportunities to break into smaller groups for a more intimate experience. Northern Jordan: The city of Jerash/Gerasa—one of the largest and most well-preserved sites of the Roman Decapolis—and the lush, green, hilly agricultural cities of the north, including Umm Qais. Eastern Desert: The Umayyad desert castles and the disappearing wetlands of the Azraq reserve in the middle of a barren, rocky landscape. Wadi Rum: 4x4 jeep tour of the desert, and a traditional Bedouin barbeque and stargazing overnight at a luxury tent camp. Petra: The rose-red city carved into the rocks, a UNESCO heritage site and one of the new seven wonders of the world. Mt. Nebo: Where Moses is said to have looked upon the Holy Land, and Bethany Beyond the Jordan, the baptism site. Madaba: The famous city of mosaics, including a 6th-century map of the Holy Land, with a significant Christian population and beautiful handicrafts, such as weaving, tile work, ceramics, jewelry, and embroidery. Dead Sea: Floating, swimming, spas, and sun at the lowest point on earth, with sunset cocktails and dinner by the shores. Amman: Contemporary galleries, villas, gardens, and current projects and developments in the region amid ancient souks, ruins, and museums. On top of these sites, we’re arranging unique cultural components: meetings with Druze, Bedouin, and other groups to learn about their culture and lifestyles; expertly guided tours of archeological sites and art galleries; private events and concerts; and more. A portion of this cost will be considered a tax-deductible donation to the Authors Guild Foundation. SPACE IS LIMITED. See our full itinerary and register below. Once your registration form is complete, you may send in your check or call in your credit card information to finalize your registration.